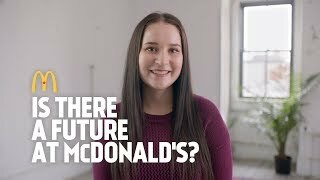 Apply for the "Best First Job" at McDonald's Whitehorse! Are you looking for a job that fits just right with your lifestyle? Do you value flexibility? Want to work in a positive environment, where you will become part of the family? Want to get paid for work that is fun and exciting? We are currently looking for FullTime employees. The starting wage for our Full-time 24/7 Crew Members is$14.00per hour and we would love for you to join our team. We set aside an extra 25 cents per hour worked for our High School aged employees that we pay to them as a scholarship upon acceptance to Post Secondary Education. In 2017 we have provided over $8000 to our employees that are heading into post-secondary education.